The association is concerned with the status and welfare of secondary school principals. NSASSP is affiliated with the Nebraska Council of School Administrators (NCSA) and the National Association of Secondary School Principals (NASSP). Roberts Rules of Order, Revised, shall be the authority on all questions of procedure not specifically stated in the Constitution. Election of state officers shall be by ballot with a minimum of two (2) nominees for each position. Any active member of the Association in good standing is eligible to hold office. In the appropriate year, each regional president will bring forth his/her nominee for President-elect-elect to the February Executive Board meeting. Commencing with the election in March of 1999, the slate of nominees for President-elect will come from regions III, IV, or V. In March of 2000, the slate of nominees will be comprised of middle school principals from any region. (Note: a middle school principal is defined as a person who spends the majority of his/;her time in the middle school environment, some combination of grades 5 through 9.) In March of 2001, the slate of nominees will come from regions I and/or II. This rotation will repeat. Each eligible region will be allowed one nominee. The nominee is to be determined within the region by a procedure established within that region. At the February Executive Board meeting, the region president shall bring the nominee's name and an accompanying resume in order for the nominee to be officially placed on the state-wide ballot. The ballots for the election of state officers will be distributed to all voting members on the first Wednesday of March by the NCSA office. Ballots must be returned within fourteen (14) days and any delinquent ballots will not be counted. Elected officers will be notified within seven (7) days after close of balloting by the NCSA Executive Director. No member shall be permitted to seek or otherwise be nominated for and hold the Office of NSASSP President-elect more than once in the lifetime of such member. Nothing in this section shall be construed to prevent a member from seeking or otherwise being nominated for the Office of NSASSP President-elect after an unsuccessful bid or bids for such office. Terms of all regional officers shall coincide with the terms of state officers. All vacancies among regional officers shall be filled by the respective region. The vacancy of any state officer (Past-President, President, President-Elect, Secretary) shall be filled by the Executive Board. The Past-President appointment in case of a vacancy must be a former Past-President of NSASSP. In addition to the elected representatives of the Association's governing body, a NARSA Representative shall be appointed by NARSA to serve as a voting member of the NSASSP Executive Board. The term of office for the NARSA Representative shall be prescribed by NARSA. The duties of the state officers of the Association shall be those which customarily fall upon such officers. Job descriptions can be found in Chapter 1 of the NSASSP Policy Manual. The NSASSP Executive Board shall be charged with the responsibility of formulating and recommending for acceptance by the membership an effective program of work activities and public relations for the association and of suggesting procedures and policies related thereto. Student Council Executive Director, NASSP National Presidents, NASSP Board of Directors member, and NASSP Region V appointments shall serve on the NSASSP Executive Board as Ex-officio members in an advisory, non-voting capacity with expenses paid to those meetings per NCSA Guidelines. Amendments or additions to these Bylaws may be made at any meeting of the NSASSP Executive Board by a majority vote of the members of the NSASSP Executive Board present and voting. A draft of the amendment(s) or addition(s) to these Bylaws must be mailed to each member of the NSASSP Executive Board at least ten (10) days prior to it presentation for adoption. The notice shall state the time and place of the presentation of the proposed amendment(s). The name of the organization shall be the Nebraska State Association of Secondary School Principals (NSASSP), hereinafter Association. The Association is a state organization, with region organizations whose boundaries will coincide with the regions of the Nebraska Council of School Administrators, hereinafter NCSA. The Association shall be committed to the improvement of secondary education. In pursuing this commitment, the Association shall be involved in providing information and leadership; encouraging research and service; promoting high professional standards; focusing attention on state and educational problems; and working with other professional organizations interested in the solution of problems of education at the state level for the welfare of secondary schools and the youth they serve. The Association shall also be concerned with the status and welfare of the secondary school principals. This Association shall be affiliated with NCSA and the National Association of Secondary School Principals hereinafter NASSP. Nothing in the Association's Constitution or Bylaws shall conflict with the Constitution and Bylaws of NCSA or NASSP. Section 1. Membership in this organization shall be in conjunction with active membership in the Nebraska Council of School Administrators. Section 2. All persons shall be eligible for active membership who hold the appropriate Nebraska Administrative and Supervisory Certificate. Section 3. Active membership shall be open to all persons engaged in secondary school administration, upon payment of dues. Section 4. Associate members as prescribed by the NCSA Constitution shall be non-voting members of the Association and may not be elected to office. Members of the Nebraska Association of Retired School Administrators, hereinafter NARSA, shall be non-voting members within the Association but may not hold any office within the Association other than NARSA Representative as prescribed in Articles V and VI hereinafter. Section 1. The state officers of this Association shall be Past President, President, President-Elect and Secretary. The President-elect shall be elected at large from the active membership by U.S. Postal Service or electronic mail ballot. No member shall be permitted to seek or otherwise be nominated for and hold the Office of NSASSP President-elect more than once in the lifetime of such member. Nothing in this section shall be construed to prevent a member from seeking or otherwise be nominated for the Office of NSASSP President-elect after an unsuccessful bid or bids for such office. Each term of office shall be for a period of one year. The state officers of the Nebraska State Association of Secondary School Principals shall be voting members of the NSASSP Executive Board. The President, President-Elect, and Past President shall also serve as voting members of the Nebraska Council of School Administrators Executive Board. Section 2. The President-Elect shall assume the office of the President at the end of his or her term or at any time a vacancy occurs in the office of the President. Section 3. The term of office for Secretary shall be two (2) years beginning September 1. The Executive Board of the Association shall consist of the state officers; the President from each of the five regions; State Coordinator; Assistant Principal Representative; Nebraska Department of Education Liaison; State Membership Coordinator; State Public Relation Representative; Student Council Liaison; Middle Level Representative; NASSP Standing and/or Task Force Representatives (As may be appointed by the National Organization); and NARSA Representative. The Pres­ident shall be the chief officer of the Association, and shall serve a one (1) year term of office. He or she shall be initially elected as President‑elect by the general membership of the Association. The President shall assume the duties of office on the first (1st) day of September following his or her term as President‑elect. In the event there is a permanent vacancy in the office of President, the remaining mem­bers of the Executive Board shall appoint a successor to complete the remainder of the term. In the event there is a temporary vacancy in the office of Presi­dent, the President‑elect shall assume the duties and responsibilities of the office until such time as the President shall re‑assume office. The President‑elect shall be elected to serve a one (1) year term of office and shall be elected by the general membership of the Association. The President‑elect shall assume the duties of office on the first (1st) day of September immediately following the election. In the event of a permanent vacancy in the office of President‑elect, the Executive Board shall appoint a replacement to fill the unexpired term. The Past President shall serve a one (1) year term of office immediately following a term as President of the Association. The Past President shall assume the duties of office on the first (1st) day of September immediately following his/her term as President. In the event of a permanent vacancy in the office of Past President, the Executive Board shall appoint a replacement to fill the unexpired term. The Past President appointment in case of permanent vacancy shall be a former Past President of the Association. The Sec­retary shall serve a two (2) year term of office, and shall assume the duties of said office on the first (1st) day of September following election. In the event of a permanent vacancy in the office of Secretary, the Executive Board shall appoint a replacement to fill the unexpired term. The State Coordinator shall be appointed from a slate of candidates presented to and approved by the NSASSP Executive Board. Candidates may be self‑nominated or nominated by any NSASSP Executive Board member. All candidates shall be contacted prior to voting by the Exec­utive Board to secure a commitment to service. In the event of a tie by the Executive Board, the President shall cast the deciding vote. All candidates shall be active members of NASSP, NSASSP and NCSA. The NASSP State Coordinator shall serve for a term of three (3) years, commencing Sep­tember 1, and shall be eligible for reappointment to only one additional term. The NASSP State Coordinator shall vacate the remainder of the term of office should he/she change titles from either principal or assistant principal. In this event, the NSASSP Executive Board shall appoint a qualified person to the unexpired term. The NASSP shall fulfill his/her responsibility to elect the NASSP President‑Elect. The Assistant Principal Representative shall be elected at large from a slate of at least two (2) candidates presented to and approved by the NSASSP Executive Board. Can­didates may be self‑nominated or nominated by Regional Presidents. All candidates shall be members of NSASSP and NCSA. The Assistant Principal Representative shall serve for a term of three (3) years; com­mencing September 1, and shall be eligible for only one additional term. The Assistant Principal Representative shall vacate the remainder of the term of office should he/she change titles. In this event, the NSASSP Executive Board shall appoint an assis­tant principal to fill the unexpired term. The Nebraska Department of Education (NDE) Liaison shall be elected at large from a slate of a least two (2) candidates presented to and approved by the NSASSP Executive Board. Candidates may be self-nominated or nominated by Regional Presidents. All candidates shall be contacted prior to voting by the Executive Board to secure a commitment to service. All candidates shall be members of NSASSP and NCSA. The NDE Liaison shall serve for a term of three (3) years: commencing September 1, and shall be eligible for reappointment to only one additional term. The NDE Liaison shall vacate the remainder of the term of office should he/she change titles from that of either principal or assistant principal. In this event, the NSASSP Executive Board shall appoint a member to fill the unexpired term. The NDE Liaison will serve as a NSASSP representative to the Nebraska Department of Education and the Nebraska Board of Education. The Membership Coordinator shall be appointed from a slate of candidates presented to and approved by the NSASSP Executive Board. Candidates may be self‑nominated or nominated by an NSASSP Executive Board member. All candidates shall be contacted prior to voting by the Executive Board to secure a commitment to service. In the event of a tie by the Executive Board, the President shall cast the deciding vote. All candidates shall be active members of NASSP, NSASSP, and NCSA. The Membership Coordinator shall serve for a term of three (3) years, commencing September 1, and shall be eligible for reappointment for only one additional term. The Membership Coordinator shall vacate the remainder of the term of office should he/she change titles from that of either principal or assistant principal. In this event, the NSASSP Executive Board shall appoint a qualified person to fill the unexpired term. The Principals' Public Relations Representative shall be appointed from a slate of candidates presented to and approved by the NSASSP Executive Board. Candidates may be self‑nominated or nominated by an NSASSP Executive Board member. All candidates shall be contacted prior to voting by the Executive Board to secure a commitment to service. In the event of a tie by the Executive Board, the President shall cast the deciding vote. All candidates shall be active members of NASSP, NSASSP, and NCSA. The Public Relations Representative shall serve for a term of three (3) years, commencing September 1, and shall be eligible for reappointment for only one additional term. The Public Relations Representative shall vacate the remainder of the term of office should he/she change titles from that of either principal or assistant principal. In this event, the NSASSP Executive Board shall appoint a qualified person to fill the unexpired term. The Student Council Representative shall be appointed from a slate of candidates presented to and approved by the NSASSP Executive Board. Candidates may be self‑nominated or nominated by an NSASSP Executive Board member. All candidates shall be contacted prior to voting by the Executive Board to secure a commitment to service. In the event of a tie by the Executive Board, the President shall cast the deciding vote. All candidates shall be active members of NASSP, NSASSP, and NCSA. The Student Council Representative shall serve for a term of three (3) years, commencing September 1, and shall be eligible for reappointment for only one additional term. The Student Council Representative shall vacate the remainder of the term of office should he/she change titles from that of either principal or assistant principal. In this event, the NSASSP Executive Board shall appoint a qualified person to fill the unexpired term. The Middle Level Representative shall be appointed from a slate of candidates presented to and approved by the NSASSP Executive Board. Candidates may be self‑nominated or nominated by an NSASSP Executive Board member. All candidates shall be contacted prior to voting by the Executive Board to secure a commitment to service. In the event of a tie by the Executive Board, the President shall cast the deciding vote. All candidates shall be active members of NASSP, NSASSP, and NCSA. The Middle Level Representative shall serve for a term of three (3) years, commencing September 1, and shall be eligible for reappointment for only one additional term. The Middle Level Representative shall vacate the remainder of the term of office should he/she change titles from that of either principal or assistant principal. In this event, the NSASSP Executive Board shall appoint a qualified person to fill the unexpired term. Ex‑Officio Members, Standing and/or Task Force Representatives will be any member of the Association who is a NASSP Past President, a member of a Standing and/or Task Force and/or a current member of the NASSP Board of Directors may serve on the Association's Executive Board. The NARSA Representative shall be appointed by the NCSA Retired Representative to serve as a voting member of the Executive Board. The NARSA Representative shall be appointed or otherwise selected by NARSA. The NARSA Representative shall serve a two (2) year term of office, and shall assume the duties of office on the first (1st) day of September immediately following his or her appointment. It shall be the duty of the NARSA Representative to report to the NARSA President on all matters, and issues relevant to the Association and retired NSASSP members. The NARSA Representative shall have such powers, duties, and responsibilities as authorized by the President and the Executive Board. In the event of a permanent vacancy in the office of NARSA Representative, NARSA shall appoint a replacement to fill the unexpired term. Each President of the five (5) regions of the Association shall serve on the Executive Board. The terms of office for each regional officer shall be for one (1) year. Terms of office for all regional Presidents and Presidents‑elect commence on the first (1st) day of September. The regional Presidents shall be voting members of the Executive Board. It shall be the duty of the regional Presidents to communicate the needs of their respective regions to the Executive Board. In addition to the duties prescribed in Chapter 2 of the Policy Code, the regional officers shall have such powers, duties, and responsibilities as authorized by the President and the Executive Board. All permanent vacancies in the offices of regional President shall be filled by the respective regions. The President shall appoint such standing and/or temporary committees as may be deemed desirable or as may be recommended by the NSASSP Executive Board or by the membership acting in business session. The NSASSP Executive Board shall arrange for at least one annual meeting. The date and location for this meeting shall be the responsibility of the Executive Board. Other meetings may be held, subject to the call by the NSASSP Executive Board. Section 1. This Constitution may be amended by an affirmative two-thirds vote of those voting at any regular or special meeting of the NSASSP Executive Board provided that any such amendment is sent to each member of the Board at least ten (10) days prior to such meeting and vote. If approved by the NSASSP Executive Board, the amendment also must be approved by the NSASSP active membership by an affirmative vote of those voting through an election via U.S. Postal Service or electronic ballot. Generally: No member shall seek the nomination for or otherwise be nominated for and selected for any statewide award more than once in the lifetime of such member. Nothing in this section shall be construed to prevent a member from seeking or otherwise being nominated for any statewide award after an unsuccessful bid or bids for such award. Purpose. NASSP recognizes outstanding secondary school assistant principals. Nomination process. The NASSP national office will send application forms to all assistant principals by mid-September. Please follow the directions for completing the application as given by NASSP. A small supply will also be sent to NCSA. It is the suggested procedure of NSASSP that each Region select their Assistant Principal Nominee at the last Spring meeting of the previous year. The completed application and all documentation must be submitted directly to NCSA at 455 S. 11th Street, Suite A, Lincoln, NE 68508. NASSP's deadline for receiving all state selections for Assistant Principal of the Year will be in December. Criteria. NASSP National Assistant Principal of the Year award program annual recognizes outstanding school leaders who have succeeded in providing high-quality learning opportunities for students. These assistant principals are acknowledged by their peers for the exemplary contributions they have made to the profession. The program honors school assistant principals who have demonstrated excellence in the areas addressed by the selection criteria. The following selection criteria reflect the themes as outlined in the Breaking Ranks framework for middle level and high school. Selection Procedure. The past recipient of the Assistant Principal of the Year award and the five region presidents will review all applications to determine that the basic criteria have been met. Members of the committee will select a finalist to represent Nebraska at the Recognition Program during the NASSP National Convention. NCSA will be responsible for notifying the national (NASSP) of the Nebraska Assistant Principal of the Year winner and ordering the state plaque to be given out at the NSASSP State Conference. Award. NASSP invites the recipient to attend the NASSP Convention where they will be recognized. Purpose. The purpose of the NSASSP Distinguished Service Award is to honor administrators who have rendered outstanding and unselfish service to the Nebraska State Association of Secondary School Principals and who have contributed significantly to quality education at the state and local level. Nominations. The nomination process shall consist of submitting a deserving individual's name to the NCSA office. It is the suggested procedure of NSASSP that each region select their Distinguished Service Award nominee at the last spring meeting of the previous year. Carry-over nominations. The files of those nominees not selected will remain active for one additional year. A new file of carry-over nominees should be established at the conclusion of the selection meeting. The NCSA liaison person will be responsible for compiling such a file. Those carried over must meet the requirements for the following year. A resume, including: (a) number of years as a member of NCSA; (b) number of years as a member of NSASSP; (c) number of years as a member of NASSP; (d) membership in other professional organizations; and (e) significant contributions to your profession and/or professional organization at the local, state and national levels. Qualifications. The nominee must be a member of the state (NSASSP), (NCSA), and national (NASSP) organizations. Criteria. Person who has demonstrated outstanding leadership in their school, their region and at the state level. Person will have demonstrated their enthusiasm for the principalship by support from students, parents, teachers, and peers. Selection Procedure. A committee composed of the State Coordinator, the five past regional presidents, two immediate past honorees and a NARSA representative will review all nominations and determine the award winner(s). Award. The Distinguished Service Award winner(s) will be presented a plaque at the annual NSASSP State Coference. Purpose. To recognize beginning principals for outstanding service. Nominations. The nomination process shall consist of submitting a deserving individual's name to the NCSA office. It is the suggested procedure of NSASSP that each region select their Outstanding New Principal nominee at the last spring meeting of the previous year. Carry-over nominations. The files of those nominees not selected will remain active for one additional year. A new file of carry-over nominees should be established at the conclusion of the selection meeting. The NCSA liaison person will be responsible for compiling such a file. Provided, outstanding new principal candidates must be in their first five years as a secondary administrator to be eligible. Qualifications. The nominee must be a member of the state (NSASSP), (NCSA), and national (NASSP) organizations. To be eligible a member must be nominated and selected before they begin their sixth year of experience as an administrator (Assistant Principal or Principal). Selection Procedure. The past recipient of the award and the five region presidents will review all applications to select the recipient of the award. Award. The Outstanding New Principal will be presented a plaque at the annual NSASSP State Conference. Purpose. The NASSP National Principal of the Year award program annually recognizes outstanding school leaders who have succeeded in providing high-quality learning opportunities for students. These principals are acknowledged by their peers for the exemplary contributions they have made to the profession. The program honors school principals who have demonstrated excellence in the areas of: Personal Excellence, Collaborative Leadership, Curriculum, Instruction and Assessment and Personalization. Special Requirements. The nominee must be a member of both the state (NSASSP) and national (NASSP) secondary school principals' associations. Nominees must have been a practicing principal for the past five years. Nominations. 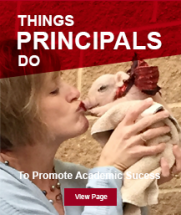 Any Nebraska educator who feels that a particular secondary school principal exemplifies quality leadership in education may nominate that principal for consideration. NSASSP region presidents are asked to submit the names of candidates from their region to the NCSA. Region candidates will be asked to submit an application to the NCSA office. Selection process will take place sometime before March 1. Carry-over nominations. The files of those nominees not selected will remain active for one additional year. A new file of carry-over nominees should be established at the conclusion of the selection meeting. The NCSA liaison person will be responsible for compiling such a file. Only one state winner will be selected to represent Nebraska at the national level. The Nebraska representative for the NASSP award will be selected from the Middle Level and High School winners by the five region presidents, the NARSA representative, and the previous year's national representative based upon the criteria used at the national level. If a Region President is a nominee for the award, the president-elect of that region will be the voting delegate for the region. The State Coordinator will facilitate the discussion and voting. Presentation. Presented at NSASSP State Convention. Eligibility. To be eligible, a member had to complete years 15, 20, 25, or 30 during the current term and had to be a continuous member of NASSP and NSASSP.